District Attorney Spencer Merriweather is committed to serving the community and keeping the public informed about the criminal justice system and the work of the DA’s Office. The DA's Community Liaison Initiative is part of that commitment. The initiative calls for DA Merriweather and his Assistant District Attorneys to attend meetings and events across Mecklenburg County to talk about their work in the criminal justice system, answer questions or provide presentations about particular issues or topics. 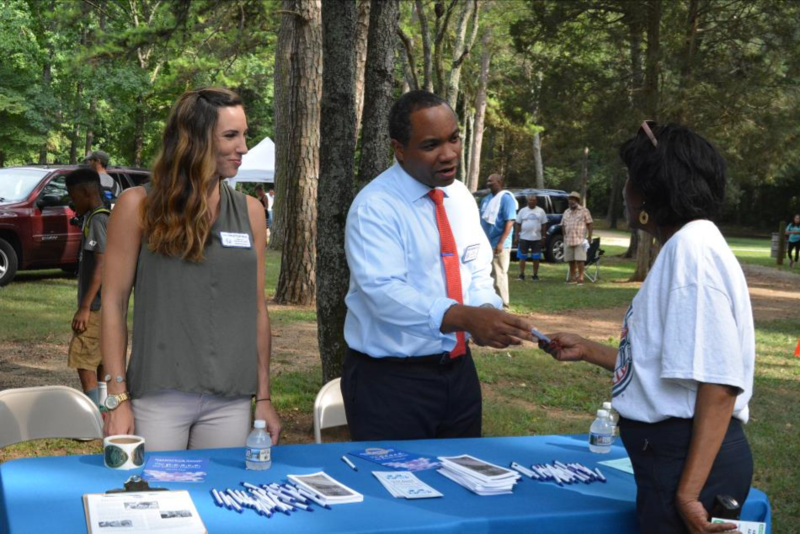 Since the initiative was established, the DA's Office has attended hundreds of neighborhood association meetings, community club gatherings and National Night Out celebrations. If your school, neighborhood or organization would like to request a prosecutor to attend a community meeting or event, please complete the form provided below. Please review our Citizen Resources for more information about the criminal justice system. If you are the victim of a crime, please review our Victim Information or call the DA’s Office at 704-686-0700. 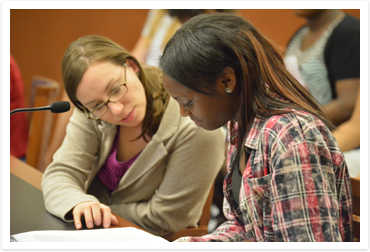 The District Attorney’s Office offers an exciting opportunity for high school students to receive a behind-the-scenes glimpse at the work of attorneys in our local judicial system. The Exploring program, which is organized by the Boy Scouts of America’s Mecklenburg County Council, allows students to examine careers in fields such as business, law enforcement, health care and journalism. The program is open to young men and women. Students who choose to “explore” the District Attorney’s Office are interested in careers in criminal law. Participants meet monthly, generally between October and May, at the District Attorney’s Office, where prosecutors lead sessions on a variety of law-related topics, including the role of prosecutors in the criminal justice system and working with victims of crime. Students tour the Mecklenburg County Courthouse and the local jail, and they meet with the elected District Attorney, Spencer Merriweather. For more information about the program, please contact the Boy Scouts’ Mecklenburg County Council or the DA’s Community Liaison Coordinator, Meghan McDonald, at 704-686-0726.